One of the most celebrated Austrian soldiers and a staunch defender of the Hapsburg monarchy in the revolutions of 1848 was Graf Radetzky. 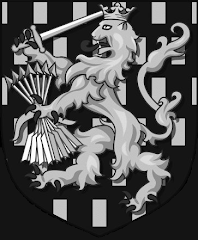 John Joseph Wenceslaus Anthony Francis Charles, Count Radetzky of Radetz was born on November 2, 1766 in Trebnice, Bohemia to a noble family in what is now the Czech Republic. His parents died when he was young and he was raised by his grandfather before entering the Theresa Academy in Vienna at a young age. In 1786 he became an officer-cadet in the Imperial Army, received his commission the following year and in 1787 was promoted to first lieutenant and posted to a cuirassier (heavy cavalry) regiment. He first saw action as a staff officer to Graf von Lacy in the Turkish War and from 1792 to 1795 served in the Austrian Netherlands (Belgium). He first really distinguished himself in the wars against Revolutionary and Napoleonic France, gaining attention by his skill and conspicuous bravery. He led a successful infiltration of the enemy lines at the Battle of Fleurus in 1794, saw action along the Rhine in 1795 and in 1796 led a troop of hussars to rescue his commander, Johann Beaulieu, in northern Italy at Valeggio sul Mincio. 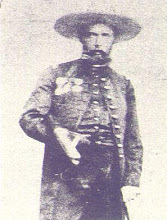 Radetzky served in the fighting around the siege of Mantua against Napoleon, by then promoted to major and as a lieutenant colonel further distinguished himself at the battles of Trebbia and Novi. As a staff colonel at the Battle of Marengo he was wounded five times but never lost his determination or any degree of his almost reckless courage. Even as a young officer he was also very observant of the shortcomings in Austrian tactics and never ceased to advocate changes, often to the frustration of his less talented superiors. 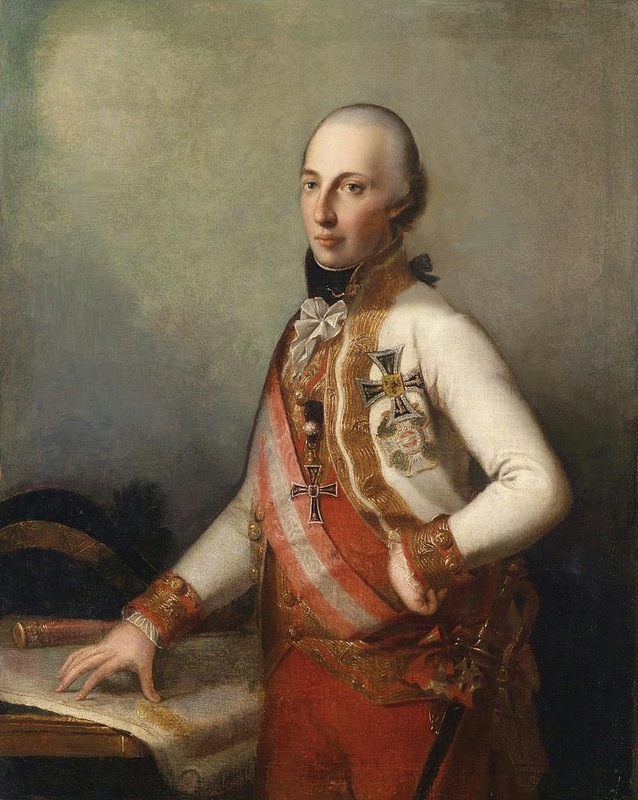 In recognition of his outstanding service, in 1801 he received the Military Order of Maria Theresa, the most prestigious Austrian military decoration and one which had something of a reputation for being given to officers who disobeyed orders but who were vindicated by success. This was not exactly the case with Radetzky but his situation probably helped further that rumor. In 1805 he was promoted major general and assigned to Italy under the command of Archduke Charles of Austria, often regarded as the most formidable continental commander of those forces allied against Napoleon. However, for Radetzky and the rest of the Austrian army, defeat was the final result and a peace was concluded with France. During this interlude, Radetzky studied and served as a military instructor while also spending time with his family. 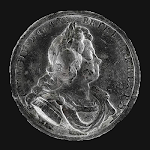 In 1798 he had married Countess Francisca von Strassoldo Grafenberg with whom he had eight children. The peace, however, was short-lived and soon Radetzky was back in the field leading a brigade at the Battle of Eckmuhl in 1809 and then a division at the Battle of Wagram following his promotion to lieutenant field marshal. 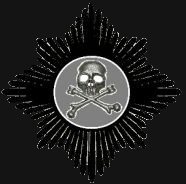 In 1810, along with further decorations, he was given the position of colonel-in-chief of the Fifth Hussars, thereafter known as the Radetzky Hussars. Also during that time and until 1812 he was chief of the general staff and in that position should have finally been able to make the changes to the organization and tactics of the Austrian Imperial Army that he had so long pushed for. However, in what had been, was and would be in the future a major problem for the Austrian armed forces, the government refused to allocate the funds necessary to implement these changes. Eventually, Radetzky resigned in disgust and returned to the field. In 1813 he served as chief of staff to Field Marshal Karl Philipp, Prince of Schwarzenberg and proved so capable that he quickly became extremely influential, not only in the Austrian army but amongst the other Allied powers as well. 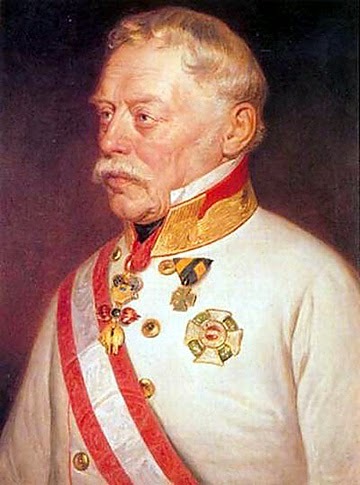 Graf Radetzky displayed his considerable talents to their fullest extent during this period and his superiors had nothing but praise for his abilities. He helped plan the operation that led to the allied victory at Leipzig and displayed his tactical brilliance in the battles of Brienne and Arcis sur Aube. He was among those who march in triumph through Paris in 1814 when Napoleon was defeated and he even played a part in the Congress of Vienna, helping smooth things over between Austria and Russia. Unfortunately, the ensuing peace only brought about a greater disinterest on the part of the Austrian government for his plans to overhaul the military. 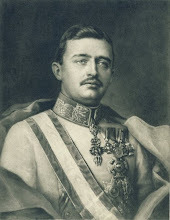 He continued to advocate for a more efficient organization, improved tactics and overall a stronger commitment to national defense for the Austrian Empire. Unfortunately, few were willing to listen and many became annoyed at his incessant warnings. They would have been wiser to heed his advice. Because of his impressive record, he could not simply be dismissed but he was pushed out of the way; promoted to General of the Cavalry and placed in command of a fortress. Most were content to ignore him but when the specter of revolution rose up again, Graf Radetzky was called upon to save the monarchy. When rebellion broke out in the Papal States, he was part of the Austrian army that suppressed it and in 1834 he was placed in command of the Austrian Imperial troops in Italy. Two years later, at the age of 70, he was promoted to Field Marshal. 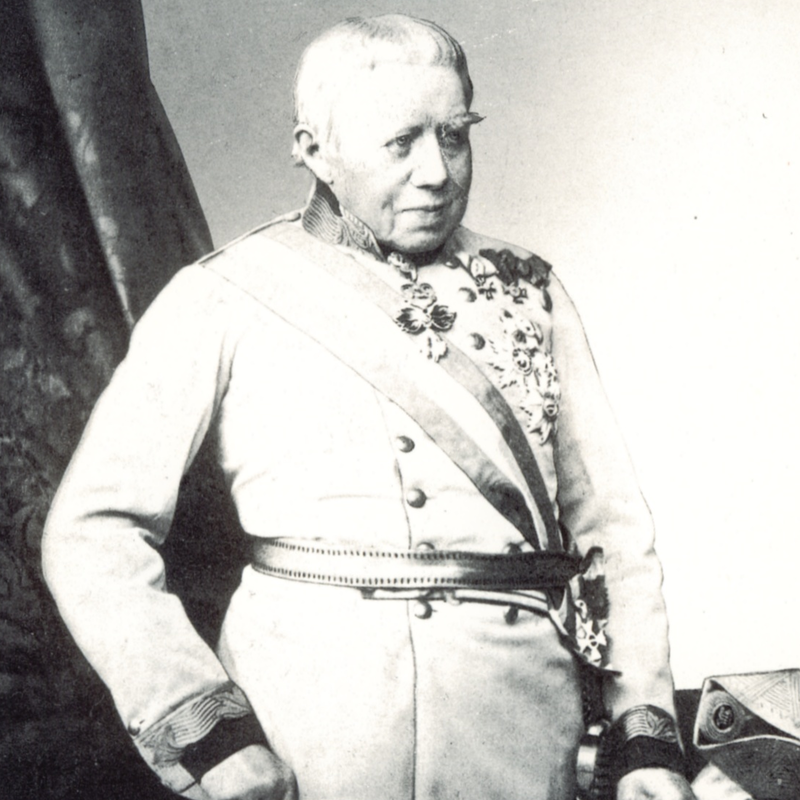 He ensured that his troops were the best trained and most disciplined force in the Austrian Empire and, back in a position of prominence again, he resumed his call for improvements to the military. But, yet again, the government refused to spend the money necessary to implement the changes he wanted and to modernize the army. It was a dangerous mistake as was proven when the Revolutions of 1848 began to break out and Radetzky had a major problem on his hands in Italy with large-scale rebellions in the Austrian-ruled territories and a war being waged by King Carlo Alberto of Piedmont-Sardinia. Despite the fact that the Austrian Empire was by far the strongest power in the region, the failure to adopt Radetzky’s policies meant that the Piedmontese were actually the more modern force and posed a considerable threat. 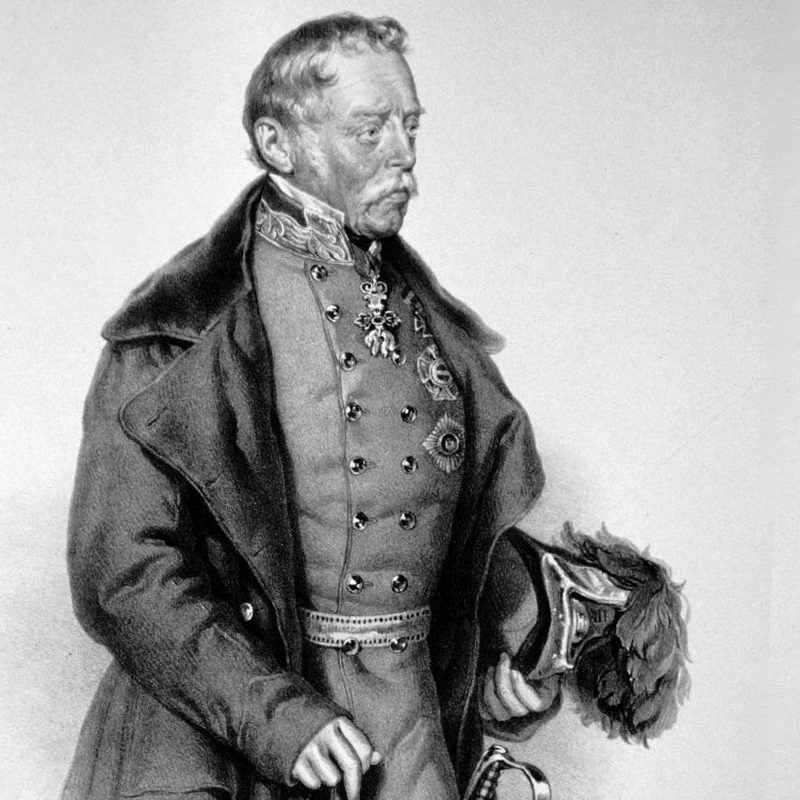 Nonetheless, despite such difficulties, Radetzky had lost none of the fiery determination of his youth and he succeeded in holding off the Italian forces until reinforcements could arrive, culminating in his great victory at the Battle of Novara in March of 1849. During the early unrest in Italy he even had the soon-to-be Emperor Francis Joseph serving under him, gaining first-hand experience at warfare under the old master. Radetzky defeated the Piedmontese, crushed the Italian nationalists and reconquered Venice, bringing it firmly back under Austrian control. 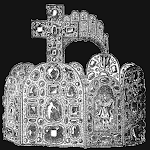 This was the height of his military career and he was awarded the Order of the Golden Fleece for his victories in crushing the enemies of the Hapsburg monarchy. Also in recognition of his success, he was then made Viceroy of the Kingdom of Lombardy-Venetia, the only one to hold the position not from the ranks of the Imperial Family. Of course, any time there is rebellion there will necessarily be punishments meted out but even among the Italians Graf Radetzky was not unduly vilified. 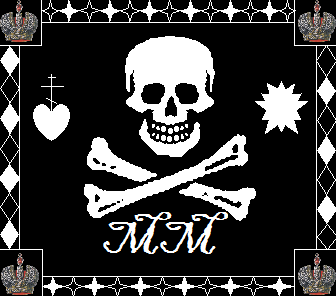 His rule was firm but fair and his own troops certainly adored him because he always tried to do his best for them, tried to get them better weapons and equipment and his victories meant that fewer lost their lives. 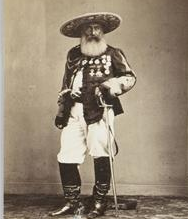 As a sign of their affection, his men referred to him as ‘Father Radetzky’. 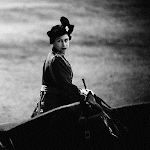 Still, while perfectly willing to tolerate those who opposed Austrian rule peacefully, when it came to those who took up arms against the crown he did not spare the whip. Oddly enough, some chose to take exception with the method of execution he employed, hanging ringleaders as criminals rather than having them shot by firing squad as soldiers. 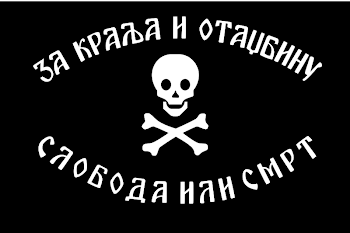 Hungarians who fought alongside the Italian rebels objected to this, somehow thinking that their treason should not count since they were in the Italian portion of the Austrian Empire rather than the Hungarian portion. In any event, even his enemies could not accuse him of being especially harsh. He applied justice evenly and was honest in all his dealings. 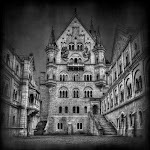 When it came to politics he had earlier favored the “Greater Germany” school of thought somewhat but for Radetzky he was always a soldier and avoided the political arena. It was enough for him to be a stalwart defender of his Emperor and that he certainly was, from the start of his career until his death on January 5, 1858 in Milan at the age of 91. Bock was a monarchist, but like many army officers he considered politics unseemly for soldiers and so never did much specifically as a monarchist. 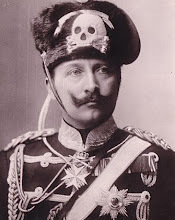 He tried to get the Kaiser to fight for his throne in 1918, had some ties with monarchist groups during the Weimar years and he visited the Kaiser quite often. He would have been thrilled to see the monarchy restored but as that wasn't going to happen he just went with "order" and upheld that in spite of his dislike for Weimar and Nazi Germany. Thanks for this article on a great soldier. I also recall Joseph Roth's statement that the Radetzky March was the anthem of conservatism.